Not too long ago, Suzuki had announced that it will officially pull the plug on its signature superbike, the Hayabusa, in Europe. The decision was taken by the Japanese marque in accordance with the European emission norms, according to which, all new bikes which go on sale in Europe from 1st January 2019 must comply with the Euro-IV emission norms, a criterion which the current Hayabusa does not meet. However, we had informed our readers that the bike will continue to sell in India since it meets the BS-IV emission norms. And now, Suzuki has launched the 2019 iteration of the mega bike in India. While the 2019 model remains identical to the outgoing model in terms of its mechanicals, the new model will be offered in two new colour schemes – Metallic Oort Grey and Glass Sparkle Black. For added appeal, the grey-colour bike gets maroon-colour wheels and a Japanese decal of the name finished in the same shade. Meanwhile, the black colour option gets silver wheels and decal. The 2019 model, like its predecessor, continues to be powered by a ballistic 1,340cc inline-four engine which produces 197bhp and 155Nm of torque. What still makes it an absolute beast is the fact that other than the ABS, the bike features no other fancy electronic aid, thereby making it a thoroughbred. 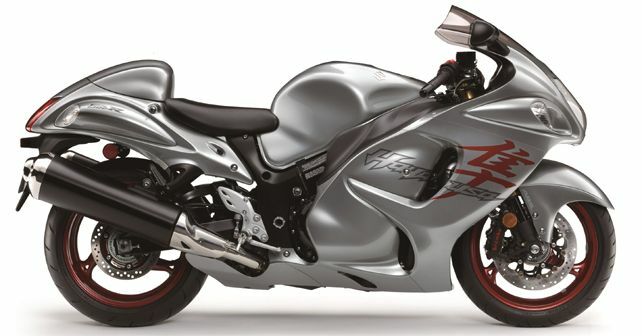 The Hayabusa will continue to sell as CKD in India and carries a price tag of ₹ 13.74 lakh (Ex-showroom, Delhi).